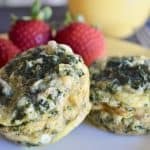 Spinach and Feta Egg Cups are a satisfying breakfast or snack to make ahead and take on the go. 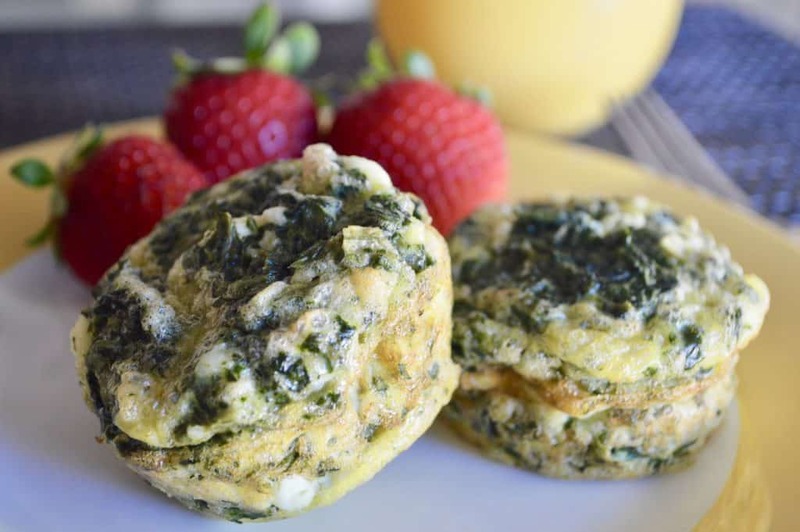 Don’t miss this low carb, healthy, and protein-packed recipe for Spinach and Feta Egg Cups. 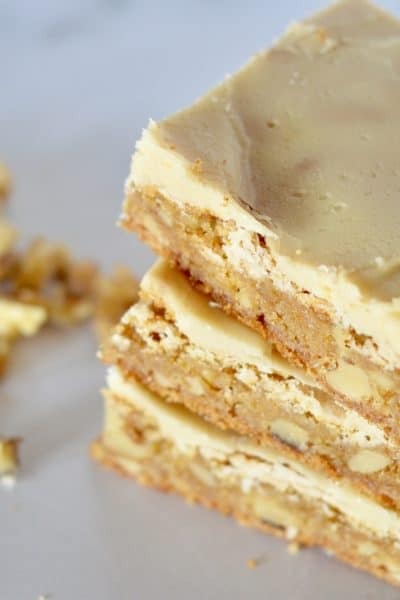 Simple, easy, and delicious! 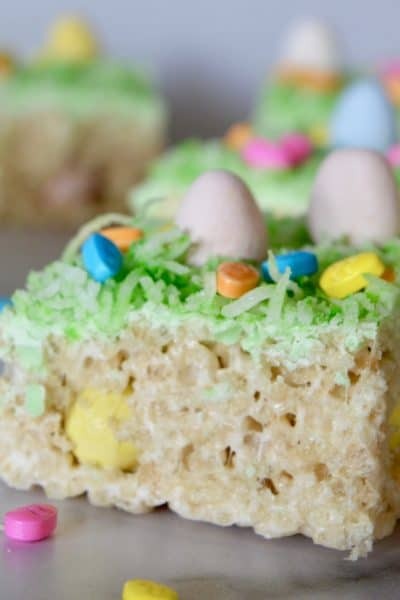 When I made these little eggs cups I shocked myself with how tasty they were. It’s great to have a breakfast/snack like this in the fridge at all times because it helps to encourage smart choices and healthy eating. To make, simply crack all dozen eggs in a large bowl and whisk. Thaw a block of frozen spinach and drain in a mesh sieve, being sure to squeeze out as much water as possible. Chop and add to the eggs along with the salt, onion powder, and feta cheese. 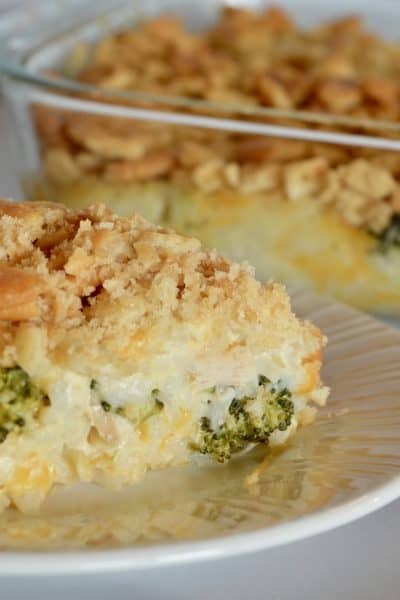 The key is to use a really well-oiled nonstick muffin tin so that the eggs don’t stick! My favorite muffin tin to use is the USA Pan Muffin Pan with Nonstick & Quick Release Coating because it’s durable and almost guaranteed that nothing will stick to it. I also love that it has handles so I don’t spill anything or burn myself taking items to and from the oven. Bake at 400 degrees for 15 minutes. Let sit for 5 minutes before eating. If the egg cups stick, run a knife around the edges of the eggs to help release them. 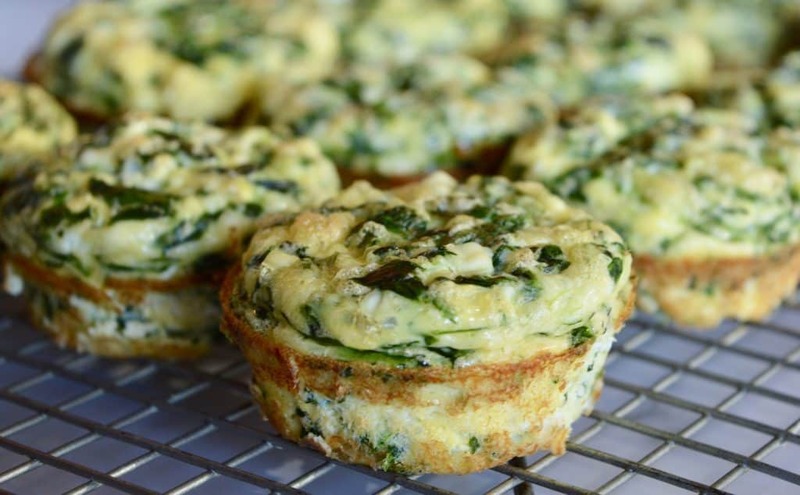 Give these delicious little Spinach and Feta Egg Cups a try and you’ll agree that eating healthy has never tasted so yummy! Healthy and protein-packed breakfast on the go. 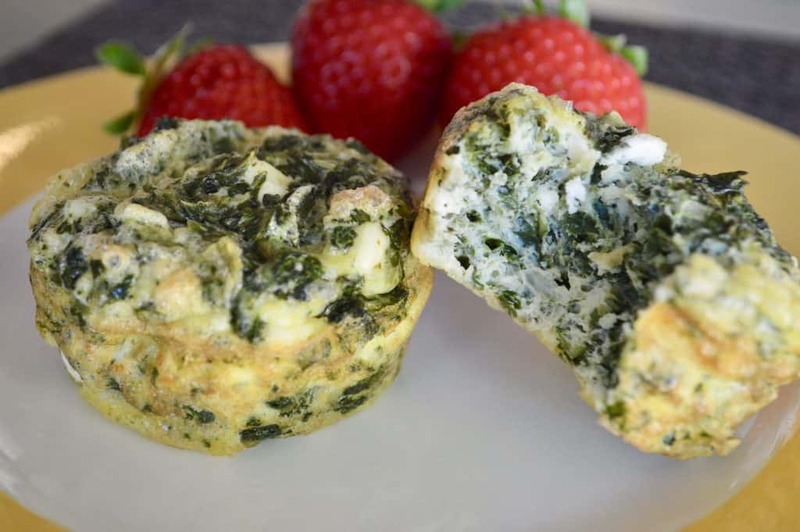 These flavorful Spinach and Feta Egg Cups are great to make ahead and have on hand. 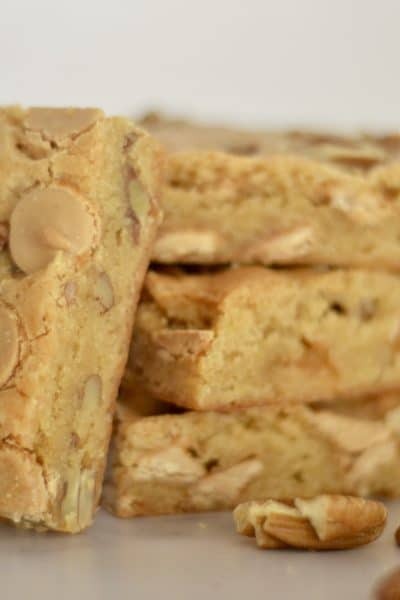 With 8 grams of protein per cup, they are a filling snack throughout the day too! Preheat oven to 400 degrees. Coat a 12 cup muffin pan with cooking spray. Set aside. In a large bowl, whisk the eggs. Add in the chopped spinach, feta, salt, and onion powder. Stir to combine. 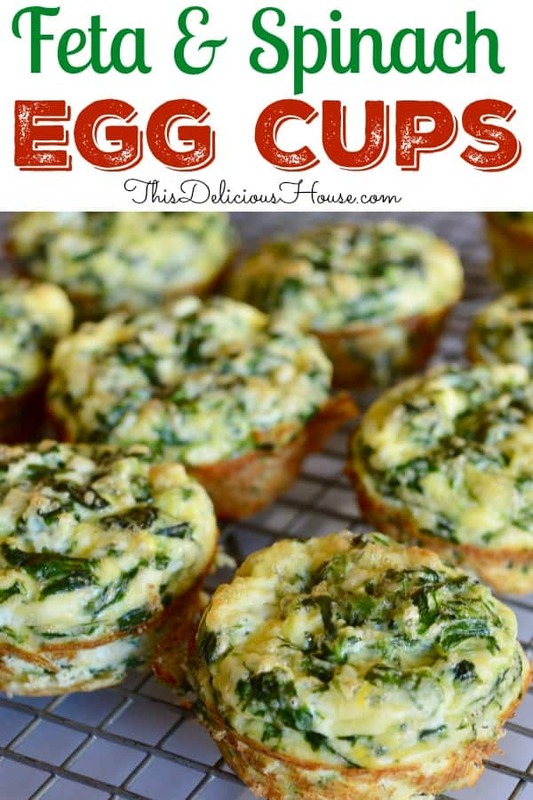 Distribute egg mixture into muffin pan cups. Bake for 15 minutes until cooked through. Run a knife around the edges of the egg to help remove egg cups. 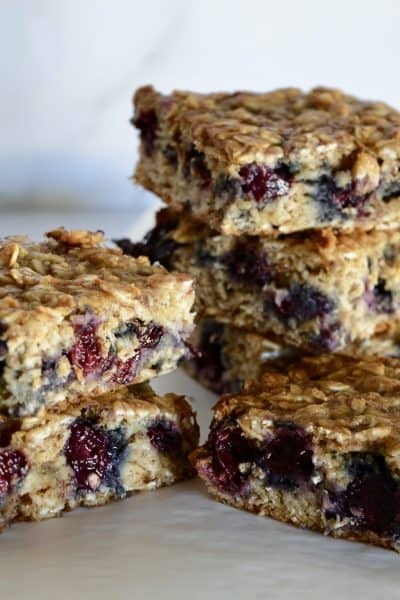 Make ahead and refrigerate for a healthy and quick breakfast. Can refrigerate for up to a week in an airtight container. Freeze in a ziplock bag for up to a month. Ham and Cheese Quiche is a delicious make-ahead breakfast dish and a great use for leftover ham. Sausage and Cheddar Breakfast Tart is a real crowd pleaser that’s so delicious! Creme Brûlée French Toast is my most popular brunch recipe ever! 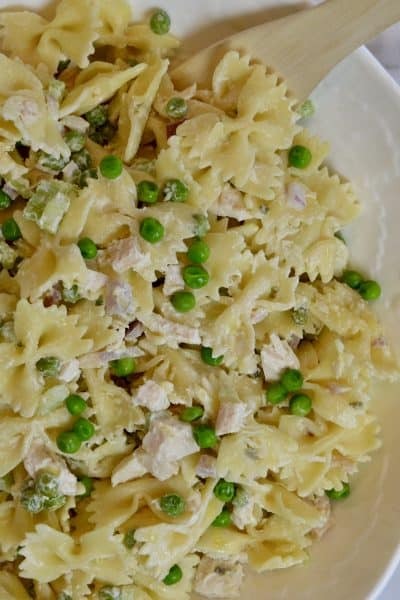 Easy make-ahead dish that gets prepared the night before. P.S. 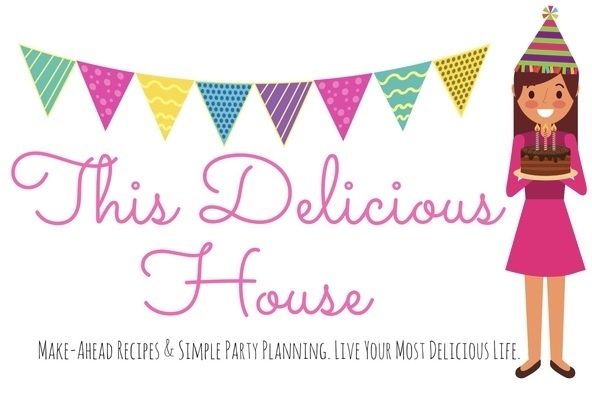 Sign up for the weekly newsletter and never miss a recipe!